Retailers and designers continue collaborating to find ways that benefit both businesses – the retailers get publicity and foot traffic, while designers receive brand exposure to a large number of new customers. BaubleBar, a fashion jewelry retailer, is one of the exclusive designers Target has partnered with – Target has successfully sold (and in most cases, sold out of) items created for them by Missoni, Luella, Lilly Pulitzer and Zac Posen. Other notable retail/designer collaborations include Kohl’s and Narciso Rodriguez, H&M and Balmain, and Roland Mouret for Banana Republic. As shoppers increasingly focus on total value instead of solely on price, we can expect to see more retailers and designers team up to create places where designer trends meet price points that appeal to the masses. BaubleBar is moving out of its comfort zone with its first significant collection of bejeweled tech products in a collaboration with Target that launches Nov. 29. The popular online jewelry retailer has worked with brick-and-mortar retail in the past and has even worked on gadgets like headphones and fitness trackers, but the Target line will be its first outside of jewelry. 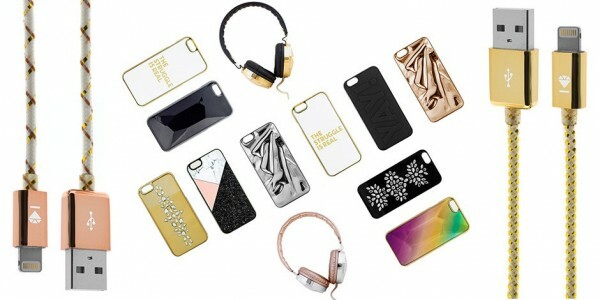 The BaubleBar Target line includes iPhone cases, headphones, portable power banks, Bluetooth speakers, charging cables, and yes, even selfie sticks. It competes with similar lines from individual designers or similarly exclusive lines at retailers like Best Buy. Click here for full story published on RetailDive.com.